An annual physical examination is one of the best ways to get peace of mind about your health. It is a means of reviewing your current medical health and is often beneficial in finding out whether or not you are developing any new ailments. 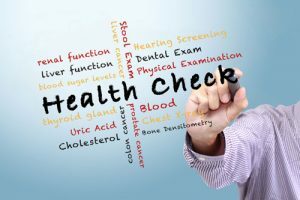 Below are some of the other major benefits of a yearly checkup, as well as some of the things you should do before going for one. During your yearly physical examination your doctor will check your weight, cholesterol and blood pressure. When you check these yearly it is easy to monitor any change in the numbers, since a change in weight, cholesterol or blood pressure can have a negative impact on your overall health. Your annual checkup is a great time to review you diet and exercise plan with your doctor. It is also a good time to develop a diet and exercise plan if you do not already have one. During your yearly checkup you can get your vaccinations done. Adults do not need to be vaccinated as regularly as children but you still need to keep your vaccinations current, so go ahead and have any outdated vaccines done during your health checkup, especially if you have young children who are susceptible to contagious diseases. Your yearly checkup is also the best time to get your flu shot. You might want to consider scheduling your checkup to coincide with the flu season so that you can get a flu shot the same time that you get a full physical. Try to visit the same doctor for your yearly checkup if possible. This approach keeps all of your health information in the same place at all times. It also means that you will have a doctor who is familiar with your health issues in case you develop a serious illness. Before you go for your physical you should put together a list of all your current health concerns and make a list of all the medications you are currently taking. If you are going to see a new doctor it is good to have a copy of your previous health records available so that your doctor can get a clearer picture of your health throughout the years. With all the benefits that can be gained from getting a regular checkup it is always a good idea to make one a routine part of your yearly activities. Along with your regular checkup, getting a full body analysis from the Healing Therapeutics Health and Wellness Clinic in Anchorage, AK is a necessity, at least for me. I have been getting these body analysis for several years now and they work wonders. At the clinic, Dr. Mark Stewart thoroughly examines what makes your body, – your body. He can determine what foods, exercise, and/or supplements will work best for your body. We are all different at the end of the day and finding out what’s best for your body is essential. This entry was posted in Health Tips, Main and tagged alaska health tips, healing therapeutics ak. Bookmark the permalink.